“Open-air” classroom at Moore Street School, 1113 W. Moore Street, Richmond, Va. In the early-20th century, Europe and the U.S. saw the rise of “open air” schools intended to create healthy environments to combat tuberculosis using the principles of sanatoria. Sometimes purpose-built, and sometimes converted spaces, open air schools provided fresh air and extra nutrition for at-risk youth. 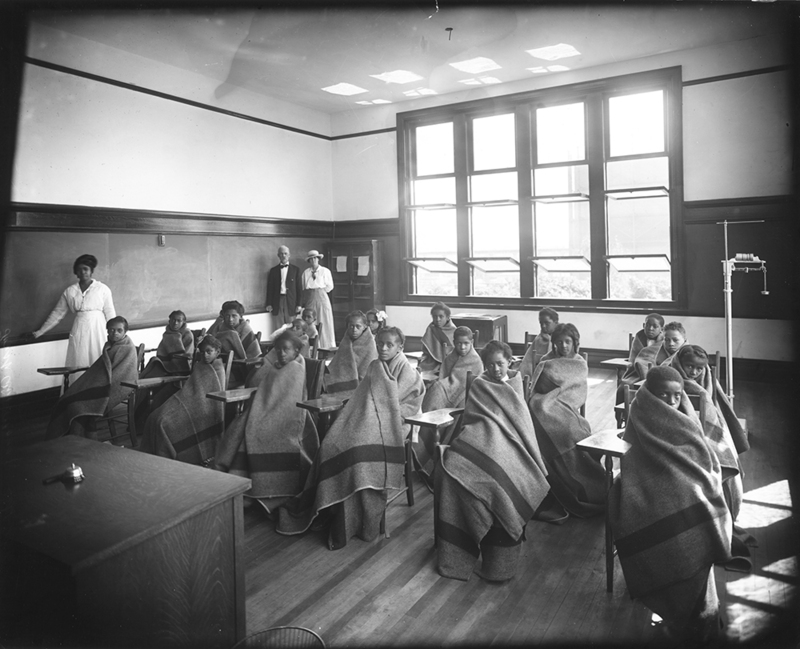 Cook, Huestis P. (photographer), ““Open-air” classroom at Moore Street School, 1113 W. Moore Street, Richmond, Va.
,” Social Welfare History Image Portal, accessed April 26, 2019, https://images.socialwelfare.library.vcu.edu/items/show/310.